If you are thinking about filing for divorce in Colorado or have already begun this process, we know that you have questions about alimony and how it works. Under Colorado Law (Colo. Rev. Stat. Section 14-10-114), alimony is known as “spousal maintenance.” In Colorado, spousal maintenance is awarded in situations where it is deemed appropriate by the court, or situations in which “a spouse needs support and the other spouse has the ability to pay support.” In other words, alimony is not awarded to one spouse based on fault in the marriage, but rather when the court decides that the financial circumstances of the marriage and its dissolution warrant a spousal maintenance award. When is Alimony Appropriate Under Colorado Law? There is no single factor that is dispositive, and the court handles each situation on a case-by-case basis. When the marriage lasts at least three years but not more than 20, then statutory guidelines apply to determine the duration of the award. There is an extensive table in the statute that sets forth the duration of the award based on the number of months of marriage. For marriages that last longer than 20 years, the statute clarifies that the court can either can award maintenance for a duration in the statute equivalent with at least 20 years of marriage, or it can award it for an indefinite amount of time. 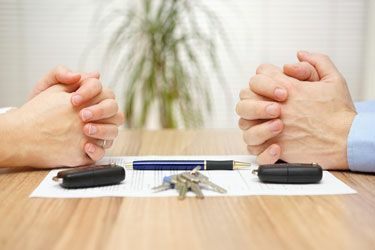 If you have questions about alimony or spousal maintenance, you should discuss your situation with a Colorado divorce lawyer as soon as possible. Contact Bloch & Chapleau, LLC today for more information.